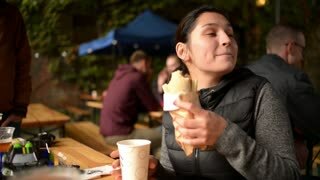 Search Results for "hot dog eating"
Person mouth eating hotdog with mustard. Man eating dinner in dining room with kitchen in background, medium shot of mouth and eating hot-dog piece with mustard with fork. Girl eating hot dog on top of mountain. 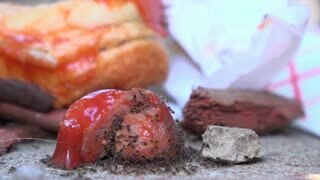 Person put piece of hot-dog in mustard. 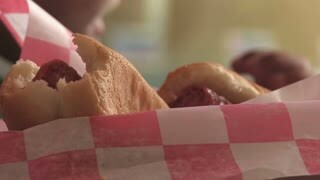 Close up of eating dinner with fried hot-dogs, sliced to pieces. Added with mustard and milk in glass. 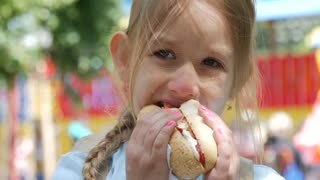 Beautiful young girl eating a hot dog in a park. Boy is eating hot dog in cafe. Boy doesn't like the taste of hot dog. 1940s: Boy eats hot dog. Woman studies menu as waitress pours water at fancy restaurant. Waiter enters restaurant train car. Diners at tables. 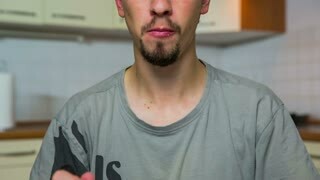 Man eating with hands. Man in glasses eating with fork. Boy is eating hot dog in cafe. Reykjavik Iceland - woman eating hot dog byt the water in. Reykjavik. Hot dogs are typical local traditional icelandic fast food. RED EPIC SLOW MOTION. Teen boy eating hot dog in fast food cafe. Woman eating hot dog in fast food cafe.